McCafferty’s men were due to face South Northumberland in the quarter finals of the Bobby Smithson Cup this week and he said: “South North are from a higher league so it will be a good test for us and a challenge which the lads will relish. Ashington had ripped the heart out of Shotley’s top order having them at 66-5 at one stage but an unbroken sixth wicket partnership of 56 between Lewis Hall (33 not out) and Ross Andrews (29 not out) proved pivotal as the Bridge closed on 122 from their 20 overs. Ashington made a decent enough start but once opener Jack Jessop had been caught on the boundary by Kieran Milburn in the fourth over, it all began to go awry with wickets continually tumbling. At 48-6 at the half way mark, the home side were eventually all out for 90 with three overs remaining. 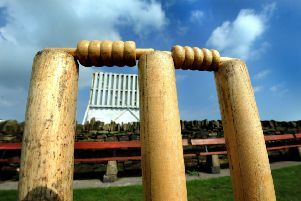 Meanwhile Ashington got back into the winning groove on Saturday with a crushing 216 runs victory over basement side Stocksfield on a rain interrupted afternoon. Put into bat, Jack Jessop top scored with 75 whilst five other batsmen – Ben O’Brien (51), skipper Sean McCafferty (42 not out), Dan Grant (37), Alex Storey (34) and Jack McCarthy (26) - all made significant contributions as the Mighty Acorns amassed 302-6 from 50 overs. In reply, Stocksfield were reeling at 12-5 as Matty Collins wreaked havoc taking four of the wickets to fall with Ben Harmison getting the other. Sam Beedle (37) and Steven Henderson (24) offered resistence before the hosts were dismissed for 86. 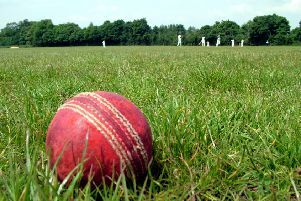 Collins eventually went nap finishing with figures of 5-33 with two wickets each for Callum Storey and Paul Rutherford. *On Saturday, Ashington are at home to Lintz.